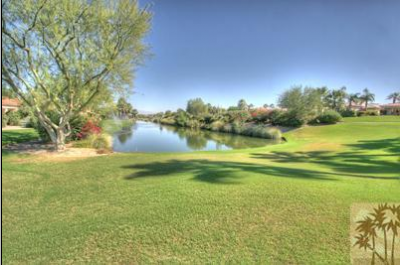 If you’re looking for a community that exudes, country club lifestyle reflecting desert luxury, then look no farther than Indian Ridge. It’s easy to see why Indian Ridge is one of the most sought after country club communities in Southern California. Golf addicts will be understandable lured in by the two Arnold Palmer designed golf courses. If tennis is your game, there are 13 tennis courts available, two of them are clay and the rest are har-true surfaces, and several are lit for night time games. The residences at Indian Ridge are a testament to living well. These decadent homes all boast beautiful panoramic vistas of the mountains and fairways, and come in many different styles and sizes. The neighborhood itself is breathtakingly Southwestern in design, with a touch of Tuscan reminiscence thrown in for good measure. Indian Ridge’s physical location is the most central and convenient in the Valley, so you are close to anything you could possible need. And, of course, being a gated community, safety is never an issue. Also, because Indian Ridge is encased by three mountain ranges, the area is protected from coastal air pollution and inclement weather. This location is perfect for enjoying outside activities all year long. The amenities offered by Indian Ridge Country Club alone, should draw you into the neighborhood. In addition to the fabulous golf and tennis, Indian Ridge offers two club houses; the Main Club House and the Sports Club House. The Main Club House is a paragon of taste with 180 degree views of the golf course and breathtaking architectural design. The Main Club House is the center for most of Indian Ridges social gatherings and features a full service bar and grille. The Sports Club House is where you will find the Health & Fitness Center complete with its own tennis and sports pro shop, saunas, steam rooms, whirlpools, and cold water plunge pools. You can even schedule a massage at the Spa Services. The social life at Indian Ridge is lively and exciting with so many activities right on site. You can plan a lunch or dinner with your friends at any of several on site fine dining establishments, or maybe just enjoy a pint at the grille. There are aerobics classes, sports clinics, and special events all year long. The warmth and camaraderie of the residents is what really counts at Indian Ridge. Welcome home. If you would like to see property at Indian Ridge, please call us at the numbers below. Were committed to helping you find the home of your dreams.